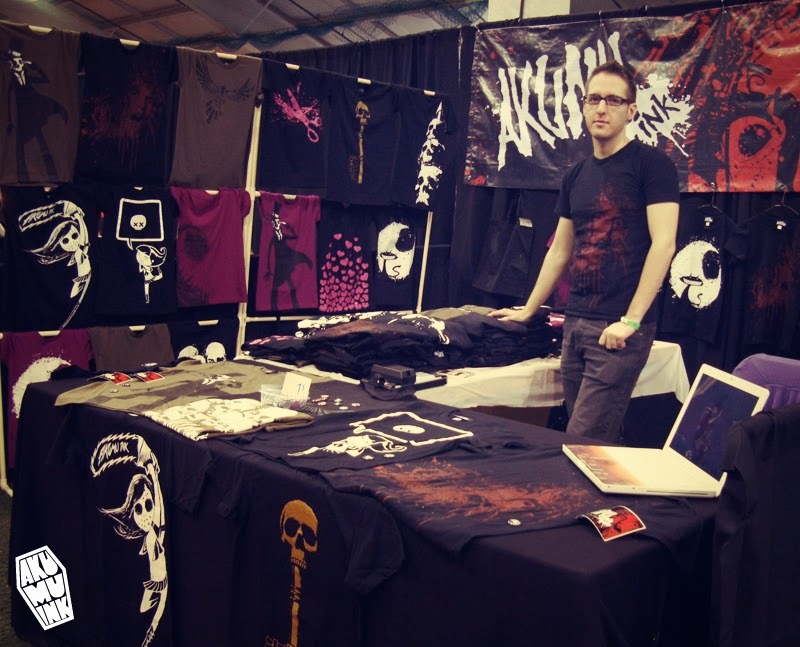 It's crazy to think that it's been 5 years since I quit my job to work on Akumu Ink fulltime. It feels like just yesterday and at the same time it feels like forever ago. What we've accomplished in the last 5 years is still unbelievable to me. 5 years ago we were still printing ourselves in our apartment in Montreal. I remember those last few days at my fulltime job I was picking my vacation days for the upcoming year. I didn't even have enough vacation days to accommodate the 6 conventions we wanted to setup at, and that's when we realized that my job was holding me back from accomplishing more with Akumu Ink. Within 2 years we got serious and started getting our shirts printed professionally and selling to shops. Now that we're in California the brand is growing at an amazing rate, this year we expect to do a total of 20 conventions. We're so grateful to all of you, I can't say that enough.